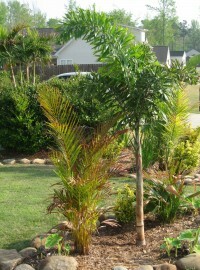 The Foxtail Palm is becoming an extremely popular palm in southern climates. 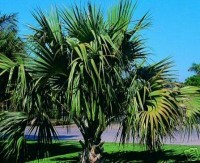 In fact, the Foxtail palm tree is the most used landscape palm tree in the world. It is suitable for moist sub-tropical and tropical climates. It is also known by the botanic name Wodyetia bifurcata. Foxtail Palms are native to the Northern Australia. 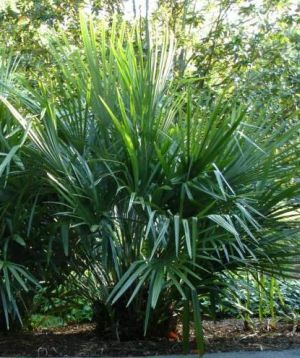 It can be grown as a potted palm so long as it's cared for properly, but it likely will quickly outgrow its pot since it's rate of growth of medium to fast. 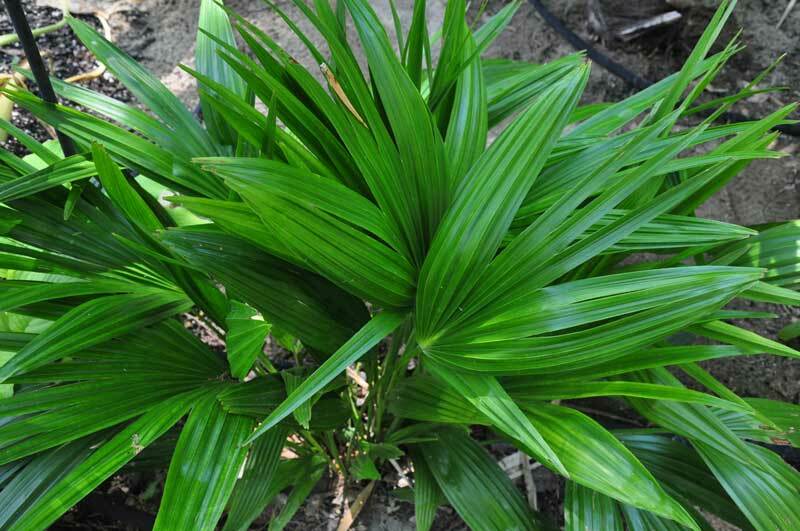 Its moderately drought tolerant, handles a variety of soil conditions very well, is typically is free of pests, and handles neglect fairly well - ultimately it's an easy palm to grow... if you have the right climate. Sabal minor, or the dwarf palmetto, is considered to be one of the hardiest palms available. It grows primarily in the southeastern United States, and its natural habitat extends west to Texas and Oklahoma. Over time, Sabal Minor form a clump about 5-6 feet in height. It grows from a single trunk, which most often grows underground. 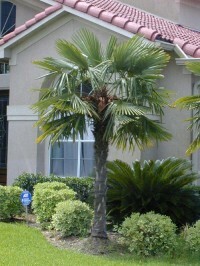 The presence of a short above-ground trunk may indicate that the plant is actually another palm, perhaps another closely-related species. 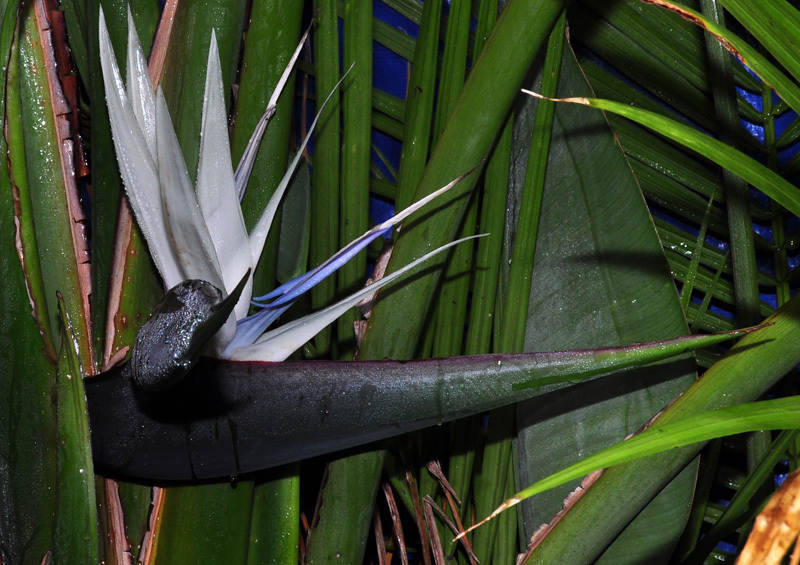 A crown of banana-like leaves atop a palm tree trunk, combined with huge, uniquely beautiful flowers, is deserving of the name, "Bird of Paradise tree." Related to the bird of paradise flower (Strelitzia regina ), this close cousin is a much larger plant forming huge clumps of stems to 30 feet in comparison to S. regina's 3 to 4 feet height. The 6 - 8' leaves are grey-green and arranged in fans atop the trunks. Plants form clumps of several variably-sized trunks that may grow to 18' in width under optimal conditions. The inflorescence are composed of a dark blue bract, white sepals and bluish-purple "tongue". The entire "bird" can be as large as 7" high by 18" long and is typically held just above the point where the leaf fan emerges from the trunk. Flowers are followed by triangular seed capsules. 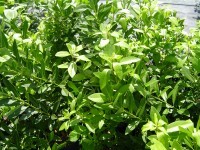 The foliage on this plant will typically die back in areas with a hard frost, though the plant itself can be kept alive as far as zone 8a with a good mulch. With additional protection, you may be able to grow it in the ground even further north. Any time it dies back to the ground however, the plant basically has to restart its growth - so flowering is very unlikely this way. Only mature plants typically flower, so you must pot the plant up if you live above zone 9-10. Chinese Fan Palms make slow-growing, but striking landscape specimens. The Chinese Fan Palm is tolerant of poor soils, but does the best when regularly fertilized. In zone 8 it will likely die back to the ground due to the freezes and frosts, but will re-emerge in the spring. 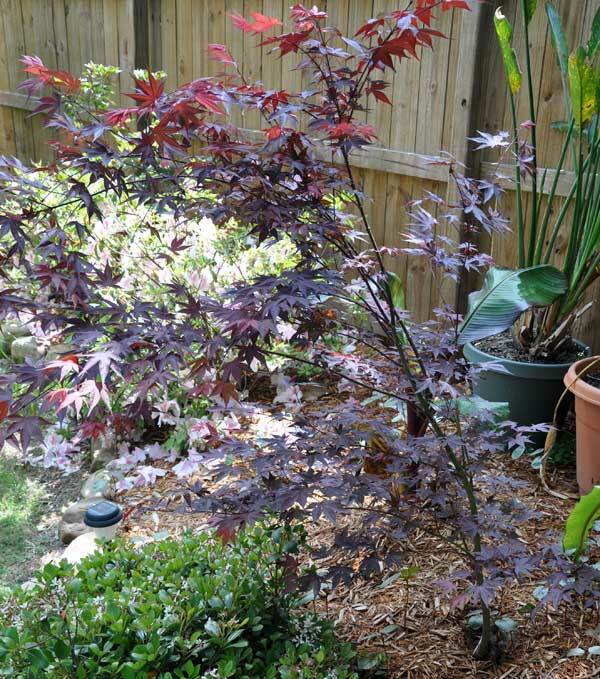 It may be possible to grow this plant in zone 7 as well, with a good mulch. It can grow in nearly full shade, but will stretch if grown under these conditions. 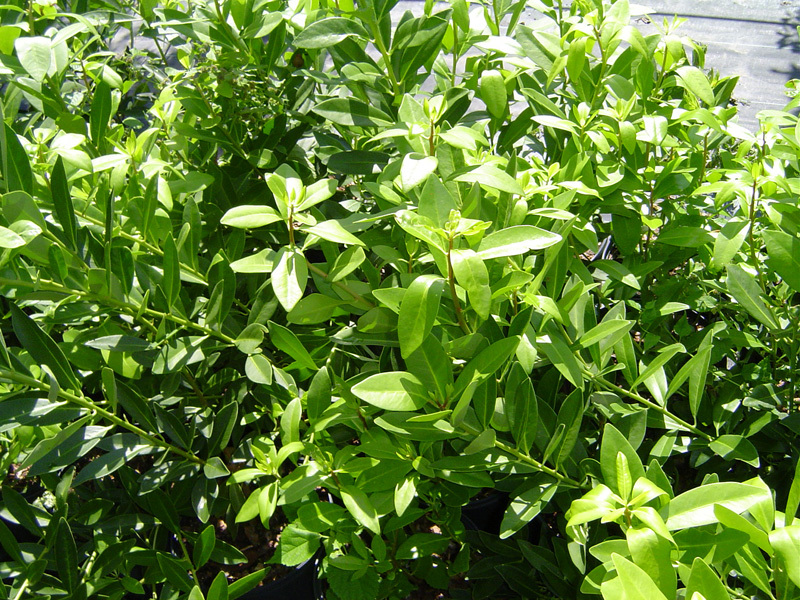 The Japanese Anise Tree is a large evergreen shrub or small tree, 6-15 feet high. It is dense, somewhat pyramidal in growth habit, more formal in appearance than other species. Flowers are unscented, greenish-yellow, 1 inch wide, up to 30 petals, blooming early to mid spring. Fruit is 1 inch across, star-shaped. It's native to both China and Japan. 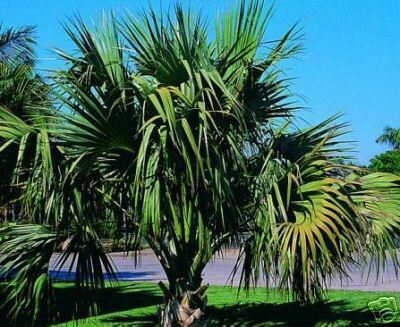 The erect, single trunk of Windmill Palm is covered with dense, brown, hairlike fibers, and the three-foot-wide, fan-shaped fronds extend from 1.5-foot-long, rough-edged petioles. If one didn't know better, you might think the truck was wrapped in burlap. Windmill Palms are a very slow-growing palm that can reach up to 40 feet in height; though is often seen much smaller at 10 to 20 feet tall. It does well in confined areas and is hardy to 10-degrees F. or lower.